One hour for a resculpted body. This innovative body treatment offers an integral beauty experience by combining three major esthetic actions in a single protocol: contouring, firmness and skin quality. After a smoothing multi-exfoliation, a reshaping and refining massage sculpts “dream contours” for perfect-looking skin. * Satisfaction test on 23 women who received 1 treatment. ** Average on one third of the volunteers who had the best results after 3 treatments. 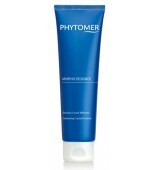 A fluid, no-rinse cream exfoliant that contains a highly effective concentration of 3 types of complementary exfoliants: chemical – enzymatic – mechanical for perfectly renovated skin. 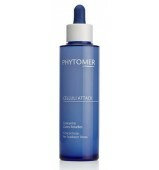 Transforming oil-cream boosted with strengthening and slenderizing ingredients to reshape and resculpt the silhouette.